Despite my railings against lactose-intolerant infants*, I really do like children. I coo at babies in church and checkout lines. I grin at the preschooler belting “The Alphabet Song” at Starbucks. I feel genuine joy at friends’ burgeoning bellies and freshly-painted nurseries. But when I consider the sleep-depriving, body-morphing, life-altering experience of parenthood—with all of its baths and bedtimes and baseball tournaments—I realize I’m still too self-centered to do it myself. I keep expecting to feel the tick of my biological clock. I’m thirteen months away from thirty, and while I find solace in articles like this one busting myths of rapidly-declining fertility, I sometimes wonder if I’ll ever feel ready to join the ranks of the stroller-pushing, food-dicing, carpooling parents of the world. My pre-baby bucket list grows by the month: pay off student loans, buy a house, finish Crime and Punishment, vacation in France…. Then comes the undercurrent of worry, that waiting too long will make me an irrelevant friend with nothing to offer on the topics of baby carriers or Bumbo seats or whether you should red-shirt your preschooler. I don’t want to be the oldest mom at high school graduation. But I also don’t want to be a mom right now. *Weirdly enough, it’s a thing. Line a colander or mesh strainer with cheesecloth and place over a medium bowl. Spread yogurt into the bowl and allow to drain of any excess whey for approximately one hour. (Don’t skip this step unless you want really runny yogurt.) Discard whey. Scoop thickened yogurt into a medium mixing bowl. Whisk in honey, sugar, lemon juice and lemon zest until thoroughly combined. 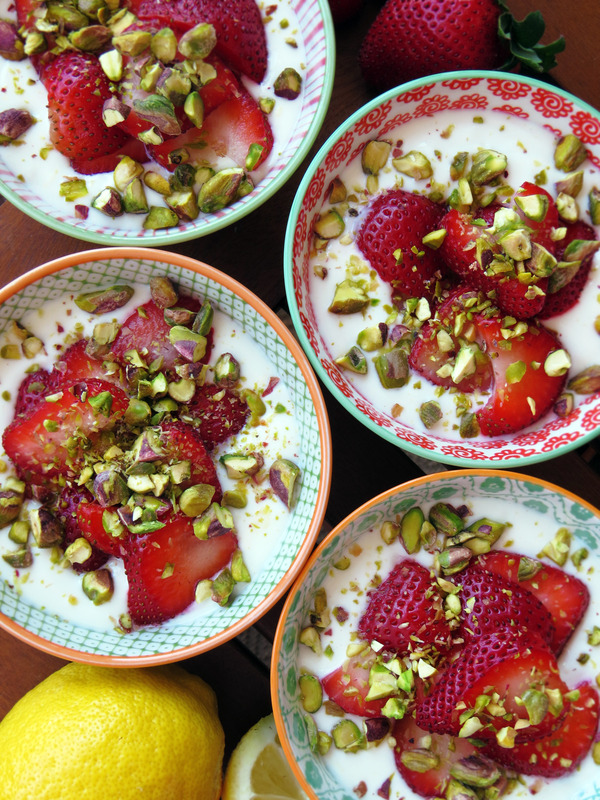 Divide yogurt between four small bowls. 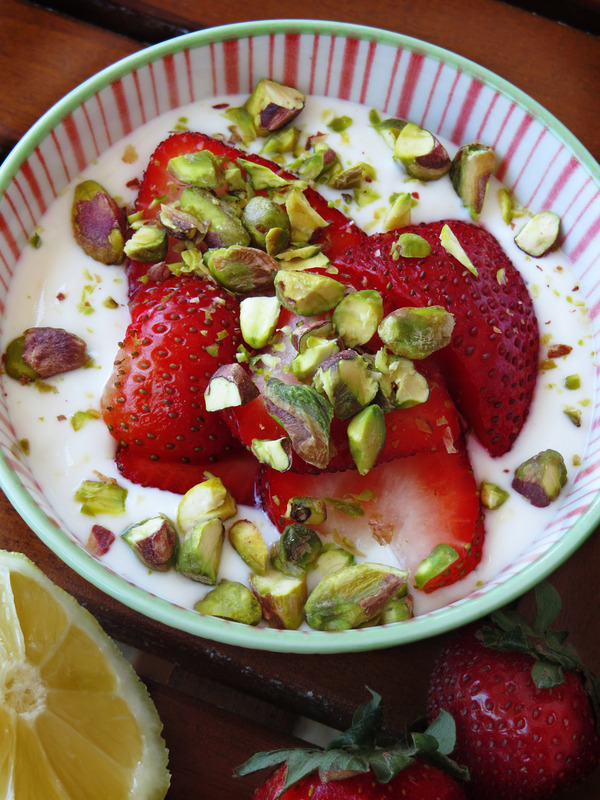 Top each with 1/4 cup sliced strawberries and a sprinkle of pistachios. Chill until ready to serve, up to two hours. So good to see you blogging! “YOU WRINKLY, KNEE-FACED HUMAN” may not have a place in Mother’s Day literature, but it now has one in my heart.